If you guessed “para aduma,” or the red heifer, give yourself a hand. And keep your eyes on Israel’s Negev desert. That’s because by this time next year, if a team of rabbis, activists, and a dairy farmer have their way, you may find there a candidate—or even more than one—qualified to perform a key function in the greatly yearned-for third Jewish Temple in Jerusalem. It has been 1,945 years, to be exact, since Titus and his Roman legions destroyed the Second Temple in 70 CE. But the Jerusalem-based Temple Institute, an educational and activist organization whose stated mission is “to restore Temple consciousness” and reactivate the “‘forgotten’ commandments” of the Temple era, is doing everything in its power to get ready for the Temple of the future, creating vessels, priestly garments, the furnishings, and a huge golden menorah—all to the exact specifications set out in the Torah. The only missing piece for the institute, aside from the Temple building itself, has been breeding the requisite red heifer. 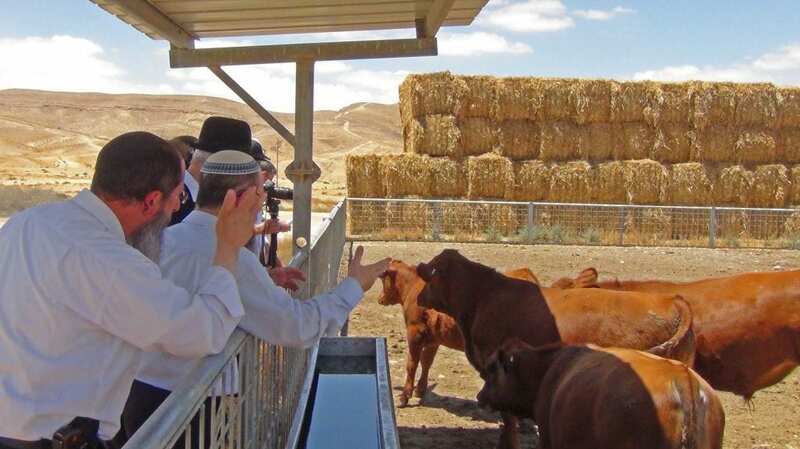 “Our immediate goal is to produce the first kosher red heifer in 2,000 years,” Rabbi Chaim Richman, international director of the Temple Institute, tells JNS.org. Why is the red heifer such an integral part of the Temple to come? As set out in Chapter 19 of the Torah’s Book of Numbers (“Bamidbar” in Hebrew), the cow in question is sacrificed and its ashes are used to purify those who come in contact with a human corpse. Today’s Temple Institute project stands at a rare place: where ancient Torah laws meet modern farming techniques. After decades of research, the institute has contracted with an Israeli dairy farmer who is well-versed in the ways of animal husbandry to breed the perfect red heifer. The farmer had independently imported frozen embryos from red angus cows and implanted them in Israeli black or brown cows. The Temple Institute later agreed to work with the farmer to make a kosher red heifer. The results have been encouraging so far, Richman reports, although only male offspring have emerged to date. The hope is that some females will be produced in the next round (slated for around the time of Rosh Hashanah), and that among them, a perfectly red specimen—no more than two hairs can be black or any other color—will emerge. Breeding the right cow, however, is just the start. After her birth, the calf must be fed special food and never be worked or impregnated. Even a cow ear tag would be considered a disqualifying blemish. By age 3, she is ready to take her place as a key player in the work of the Holy Temple. Yet all this takes time—and money. The Temple Institute, therefore, has launched a crowdfunding campaign to support the project. The lesson of the red heifer is particularly crucial in modern times, says Rabbi Binny Freedman, head of the Orayta yeshiva, which is fittingly situated near the site of the first two Temples in Jerusalem. But what does the average Jew think about breeding the first designated red heifer in 2,000 years? 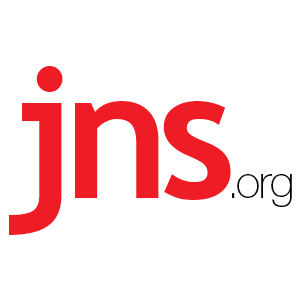 JNS.org got mixed reviews. Perhaps, then, it’s appropriate that the institute announced the breeding program in the days leading up to Tisha B’Av (Ninth of Av) on July 26, the fast day when Jews around the world mourn the destruction of both Temples. The cow herself is going to take some time to step forward. Even after the perfect heifer is born and proves worthy, she needs to be supervised closely for three years before coming of age to serve in the Temple. Richman, however, isn’t bothered by the prospect of a delay.